Modular Fabrication is increasingly becoming the preferred method of infrastructure build for data centres due to the many benefits associated with it. 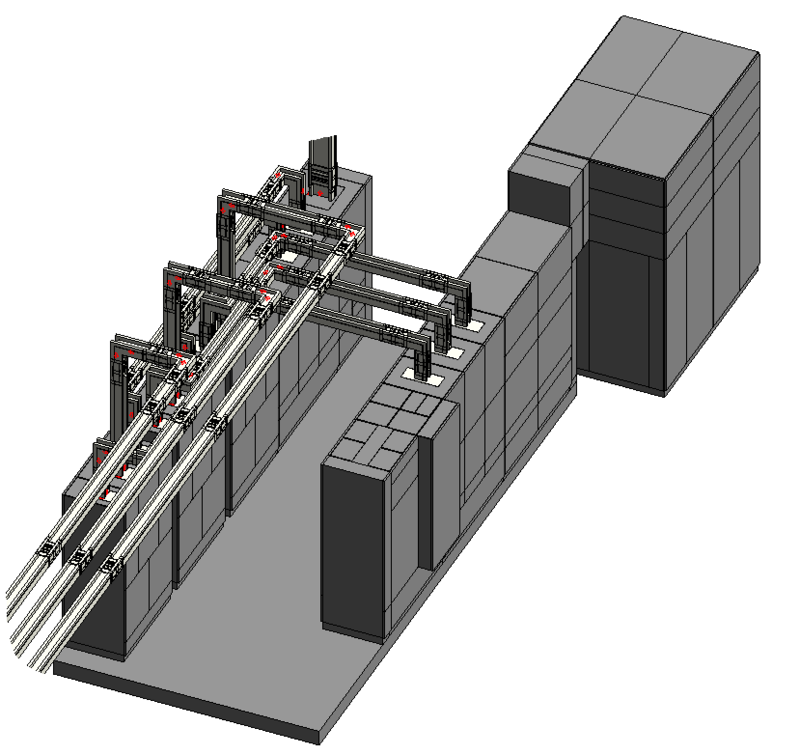 Each pre-fabricated modular data centre is made up of at least one pre-engineered, factory-integrated and pre-tested assembly of subsystems, which is either then mounted onto a skid or placed within an enclosure. The form of modular design used will be based largely on the requirements of the data centre as this will impact how the infrastructure is transported and where it can be placed. Open frame skids provide the structural base for the electrical system. Unlike ISO containers and enclosures, prefabricated power skids are generally for indoor use, making it the perfect option where critical power infrastructure needs to be deployed quickly within an already existing building. The process involves mounting the power infrastructure onto an open structure frame which can then be easily transported and delivered as a pre-assembled structure, in turn reducing on-site deployment times by 60% in comparison to traditional methods. Power modules including switchgear, UPS, panel boards and transformers are usually mounted onto skids and placed directly on the room floor. Skid mounted systems can support a higher capacity of power than enclosures or ISO containers as they are not subject to the same space limitations. This form of modular design is also the most cost effective, often costing 40% less than the alternative enclosure design. However, it is important to note that the open nature of skid mounted systems is not suitable for all types of infrastructure, such as IT equipment which requires a dedicated cooling system where hot and cold air is separated. Raised floor access skids are constructed with hollow space for cabling to be completed underneath the panels. Low profile skids sit lower to the floor and are used in conjunction with busbar. As the busbar is connected to the infrastructure from above, no additional space underneath the skid is needed for cables to be connected. ISO Containers are re-usable, steel shipping enclosures manufactured for secure storage to prevent damage in the movement of materials from one type of transport to the other. The purpose of ISO containers in modular power fabrication is to protect the infrastructure contained within it from outdoor weather conditions – Making it an excellent option in instances where there is limited space available to facilitate an indoor data centre. A number of ISO standards have been put in place to regulate many aspects of the containers such as classification, dimensions etc. The standardised nature of this form of fabrication simplifies the transportation and handling process, ranking it first for transportability against the two alternative forms (skid mounted and enclosure). ISO containers can be double or triple stacked to maximise floor space, however modifications such as cut outs for doors or other mounted equipment can impact ISO certification, limiting the ability to stack containers. Although, as the containers will always have a standardised surface area, the logistics of deployment will still be much simpler than other forms. ISO containers are usually lifted from the truck using a crane and positioned on top of a concrete pad outside. However, ISO containers are also suitable for indoor use where required. For instance, they are sometimes housed in warehouse environments to protect individuals from adverse weather conditions during operation and maintenance. 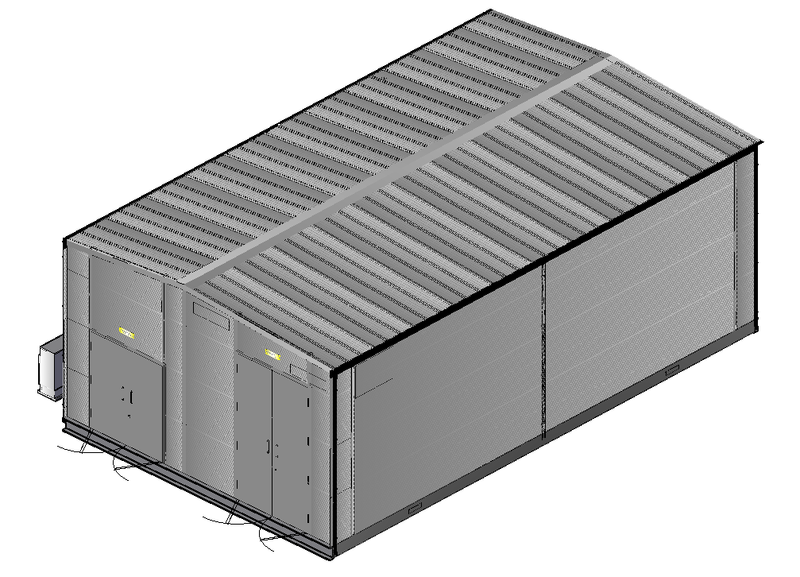 Modular Enclosures (sometimes referred to as shells, metal houses, or pods), are similar to ISO containers in their primary function of protecting electrical infrastructure from the external environment. Most enclosures are suitable for outdoor use; although this depends on their weather rating, with enclosures sometimes being housed in an indoor warehouse facility. As steel is a reactive metal, enclosures must be painted for protection from corrosive environments, powder paint is typically used to produce a more durable finish. Steel enclosures tend to be heavier and more expensive than their cladded and GRP alternatives. GRP (Glass Reinforced Polyester) are open bottom enclosures that are placed on a concrete plinth containing cable ducts. Like Cladded Enclosures, GRP Enclosures are lightweight in comparison to steel and are often used for roof mounted preferences where low weight is requirement. GRP enclosures are also commonly used to house MV switchgear due to their excellent insulating properties which prevents risk of electric shock. Excellent insulation also removes the need for the enclosure to be grounded, which can result in reduced production time. Modular fabrication is an extremely versatile power solution, consisting of multiple forms that can be customised to meet individual business requirements in a more time and cost-effective manner than traditional methods. Typically, modular skids are an ideal choice in data centres that have available indoor space, as the skids are less costly and less restrictive than other forms of fabrication. However, where indoor space constraints do exist, ISO containers are the most suitable option as they are rated for outdoor use and can be placed outside of the main building. Enclosures may also an option for outdoor use depending on their weather ratings. 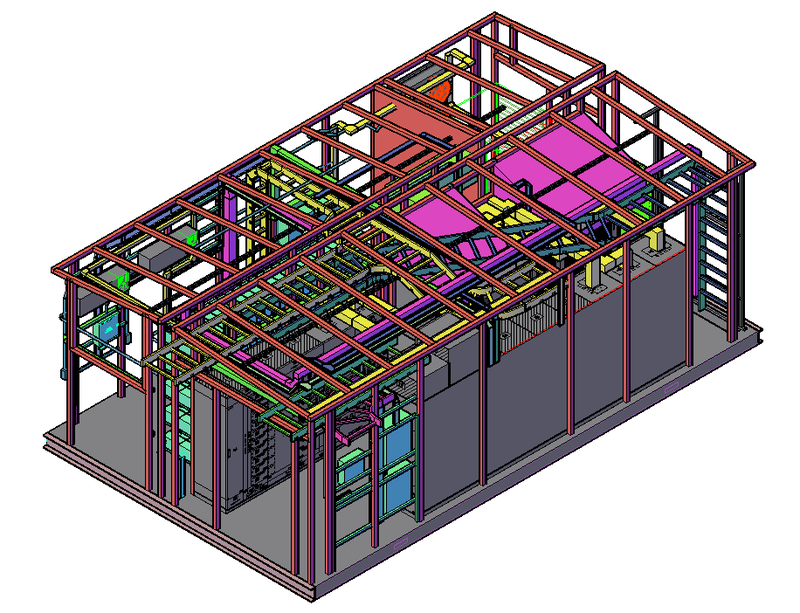 The form of modular fabrication required will vary from project to project, therefore it is important to conduct an audit of project requirements and constraints to fully assess whether open skid, ISO container or enclosure fabrication is the most feasible choice for your data centre.